The Age and Music Victoria are proud to announce that this year’s Hall of Fame inductees will be honoured with a free, public exhibition at Arts Centre Melbourne from 31 October 2015 to 28 March 2016 together with a dedicated panel discussion at the Face The Music conference on Friday, 13 November 2015. The free exhibition features more than 50 items connected to the inductees including memorable costumes, rarely seen before photographs, posters, programmes and album covers. Highlights of the exhibition include one of Angus Young’s early AC/DC schoolboy suits, Judith Durham’s stunning 1960s beaded performance gown, Kylie Minogue’s red sequined “Better The Devil You Know” costume worn at the Palais Theatre and original recording equipment from the legendary Armstrong Studios. The items on display are drawn from Arts Centre Melbourne’s extensive Performing Arts Collection and from the inductees themselves. The Panel will focus on The Age Music Victoria Awards Hall of Fame inductees, concert event and Exhibition and will be moderated by The Age’s Chris Johnston. Panelists include Hall of Fame inductees Bill Armstrong, Archie Roach, Murray Robertson (The Thunderbirds) and Carolyn Laffan (Music Curator, Arts Centre Melbourne). The Age and Music Victoria are also pleased to announce one further performer to the The Age Music Victoria Awards 10th Anniversary Hall of Fame concert with Grinspoon’s Phil Jamieson now confirmed to appear on the night. 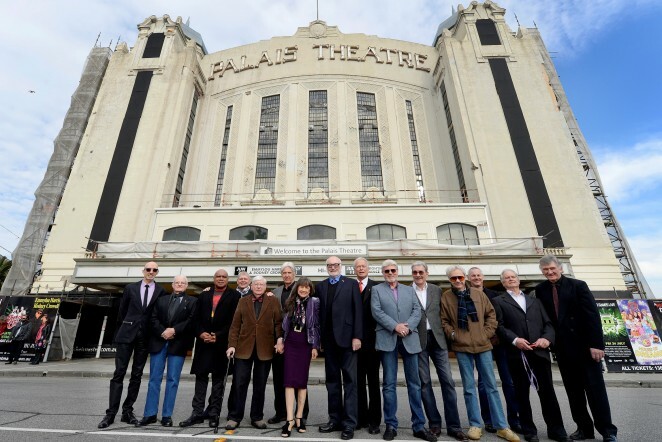 This special, once-in-a-lifetime concert being held at the Palais Theatre on 20 November already boasts performances by two of this year’s inductees – John Farnham (30 minute set) and Archie Roach – as well as Paul Kelly, Normie Rowe, Brian Cadd, Kate Ceberano, Mark Seymour, Vika Bull, Angie Hart and Kingswood. The concert will be hosted by RocKwiz’ Brian Nankervis with musical backing by the EG Allstars featuring Pete Luscombe (musical director), James Black, Bill McDonald and Ash Naylor. First introduced in 2006, The Age Music Victoria Awards (formerly The Age EG Awards) are the largest publicly voted music awards in Australia. Unlike the annual Awards which will be announced on 11 November, selection of The Age Music Victoria Awards 10th Anniversary Hall of Fame inductees was made by a voting panel including former inductees, musicians and music professionals, all of whom had their work cut out for them in selecting just ten inductees from Victoria’s long and illustrious musical heritage. Eligibility required inductees to have been Victorian residents when they made a significant contribution to Victoria culture. $5.00 from every ticket sold will be donated to the events charity partner, Support Act Limited, to help musicians in need. with more to be confirmed! AC/DC’S LOST RARE GIBSON L-6S FOUND? The NGV today announced the largest ever Friday Nights program with eighteen headline acts from December 2015 – April 2016. Since the series commenced in 2013 approximately 72,500 visitors have attended the series, which aims to provide greater access to major exhibitions with added social experiences. For this series visitors will enjoy after-hours access to the ground-breaking contemporary exhibition Andy Warhol | Ai Weiwei and see headliners including singer/songwriters Sally Seltmann and Bertie Blackman, international pop champions Twerps, Chinese indie rock band Queen Sea Big Shark, 70s No Wave icon James Chance (US) in his Australian debut and Texan electronic music outfit Neon Indian. Some performances linking directly with themes from the Andy Warhol | Ai Weiwei exhibition include Hawaiian New Zealand-based musician and visual artist Silicon playing tracks from his latest album Personal Computer which ruminates on iPhone factories and Andy Warhol’s The Factory; psychedelic prog rock band Moon Duo (US) will perform with their own visual projections inspired by Andy Warhol’s multimedia Exploding Plastic Inevitable; and a special one-off performance from Regurgitator, will see the alt-rock legends re-interpreting the Velvet Underground’s debut album produced by Andy Warhol. Other highlights include US two-piece Deradoorian; Australian pop songstress Ngaiire, who will set the stage on fire with her powerful future-soul voice and vibrant costumes; and Norwegian avant-garde vocalist Jenny Hval. The events regularly sell out, so book tickets early for Friday Nights at NGV. See www.ngv.vic.gov.au/program-series/friday-nights/ for details. NGV Members pre-sale offer: open from 10am Friday 30 October – midnight Thursday 5 November. Telstra customers’ pre-sale offer: open from 10am Monday 2 November – midnight Thursday 5 November. General tickets are on sale from Friday 6 November. Andy Warhol | Ai Weiwei will open at the NGV on 11 December 2015 and at The Andy Warhol Museum, Pittsburgh in June 2016. 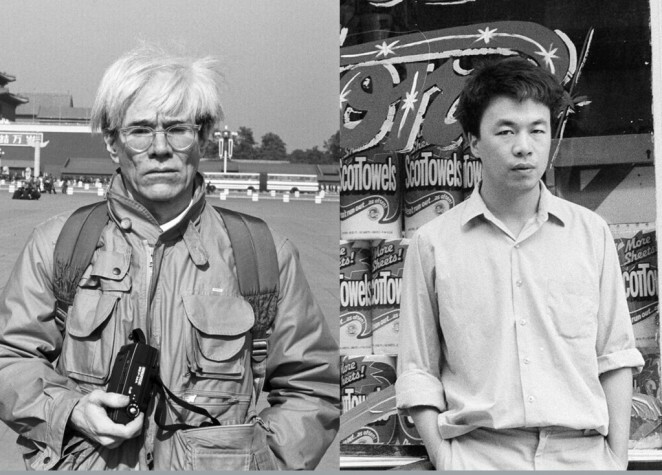 The Friday Nights at the NGV series for Andy Warhol / Ai Weiwei is generously supported by Higgins Coatings. Sydney-based dream-popsters I Know Leopard first came to our attention with their deliciously lush debut EP ‘Illumina’. With their sophomore EP ‘Another Life’, Triple J latched onto the irresistible sounds of cleverly constructed pop songs such as Picture Perfect and Close My Eyes and quickly slapped them onto high rotation…. Dragon, Wendy Matthews and more confirmed to perform for Shane and Mick. Last month the Australian music industry was devastated by the tragic death of well-known and much loved production manager, Shane Cooper, and the serious injury of drummer Mick Skelton, in a car accident while on their way to a gig in regional Victoria. Since the accident, hundreds of musicians and friends have put their hands up to help out in the best way they know how – with an all-star benefit concert featuring the who’s who of Aussie rock for Mick and Shane’s families. It has been confirmed today that the One For The Road benefit concert will be held at Sydney’s Enmore Theatre on Monday, 23 November 2015. Performers confirmed are (in alphabetical order): 1927, Baby Animals, Diesel with special guest Jimmy Barnes, Dragon, Mark Gable (Choirboys), Hoodoo Gurus, Noiseworks, Jeff Martin (The Tea Party), Wendy Matthews, Russell Morris, Ian Moss with Andy Bickers, Angry Anderson, Alex Smith (Moving Pictures), The Superjesus, Swanee + Jagger Alexander-Erber, Thirsty Merc and Ziggy (the Bowie Show) featuring Steve Balbi, Brydon Stace + Jeff Duff. One for the Road is proudly presented by Support Act and produced by Empire Touring. Support Act is the Australian music charity helping music professionals in crisis and all concert proceeds will go to the Cooper and Skelton families. 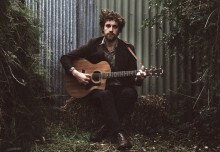 For anyone not able to attend the concert, donations can be made by going to www.supportact.org.au/donate, noting under “Benefit or Appeal” in Step 2 – SHANE & MICK.